“For the things that crucify Christ and wreck the whole world are the common sins of every day—self-centredness, pride, apathy, cynicism, slackness, unkindness, every temptation put in another’s path, every wasted opportunity, every pitiful compromise of which we are ashamed – these are the nails and the spear-thrust and the cross. And will anyone deny, with Jesus hanging there, that sin is the critical enemy, the most dangerous insatiable thing in the world, and that they personally need to be forgiven?” These words of James Stewart bring me back from the abstractions of evil to the problem of me, to self-examination. I am a sinner, desperate for the mercy of God. Every day. 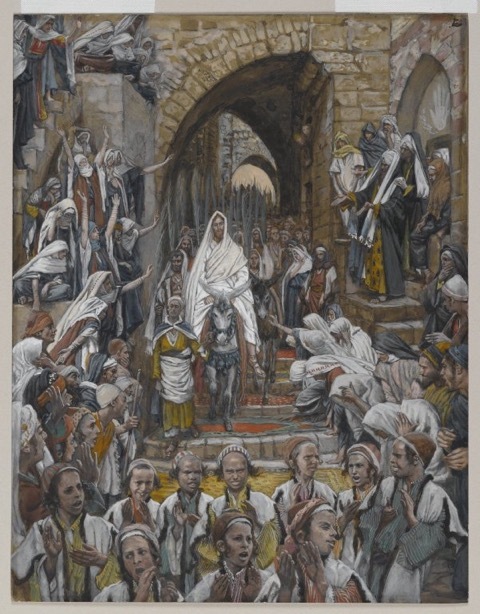 Palm Sunday—Jesus’ triumphal entry into Jerusalem and a “readers’ theatre” of the passion narrative from one of the gospels. This Sunday at 9am and 11am at the TexFed. Maundy Thursday—A service that begins in light and progressively darkens, this will be a Tennebrae service with Holy Eucharist, remembering the Last Supper and Jesus’ betrayal (there will not be a foot washing). 7pm at Medina Street. Good Friday—Reflections by seven individuals on Jesus’ “seven last words” from the cross. Joint service with Church of the Cross, 7pm at Medina Street. Easter Sunday—9am and 11am. Who can you invite?